Austria is a relatively small country. It is possible to cross it by car from north to south in a couple of hours. We are talking about today’s Austrian Republic; however, once the Austrian Empire controlled almost half of Europe. Vienna was the European center in the literal and figurative senses. Well, times have changed, and the greatness is longer measured in territory. 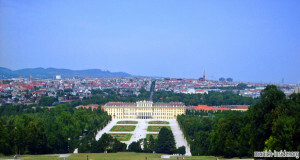 Austria’s rich history has left magnificent monuments: castles, palaces, churches, parks, museums and more. The empire was very rich and the Austrian royal court was immersed in luxury. This historic heritage can be best admired in Vienna, but there is plenty to see in other cities as well – Salzburg, Linz, Innsbruck and others have a lot to offer to visitors. By the way, all the places in the western part of Austria can be reached easiest by flying to Munich rather than to Vienna. 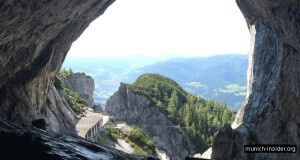 From Munich one can go on day trips by car or train to the nearby Austrian sights. If you want to visit Vienna, we recommend at least a two-day trip from Munich. 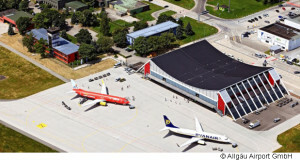 In winter, many tourists fly to Munich as a transfer point to the famous Tyrolean ski resorts. 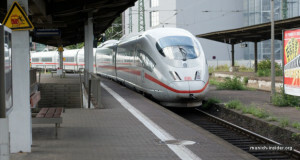 There are two options: one can either spend a night in Munich and spend some time enjoying attractions in the city, or rent a car at the airport to and drive south to the Alps right away. Most Tyrolean resorts are within a two-hour drive. 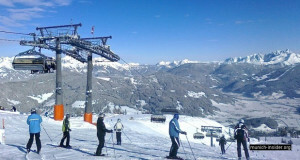 Sölden, the Austrian highest ski resort is located in Ötztal Valley in the south of the country, near the Italian border. Three peaks here exceed 3 000 meters (10 000 feet) and several glaciers. 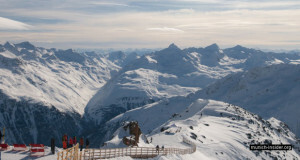 Famous Austrian ski resorts are all within driving distance from Munich. Vienna has so many attractions that a week would probably not be enough just to see all of them, to say nothing about visiting all the museums in the city. We tried to squeeze as many places of interest as possible in a short two-day trip. There are two attractions near the Austrian city of Salzburg which can be visited on a day trip from Munich. The Eisriesenwelt cave is the largest ice cave in the world. The Hohenwerfen castle is located a few kilometers from it. It is not only famous for its history and architecture, but also offers a falconry show for the visitors. 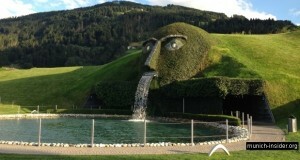 The Swarovski Crystal Worlds (Kristallwelten) is a very interesting and unusual museum. 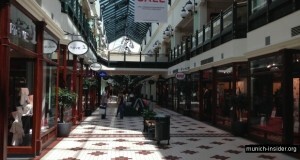 One can even combine the museum visit with some jewelry shopping. During the same trip, one can also visit the nearby Innsbruck, capital of Tyrol with its many attractions. 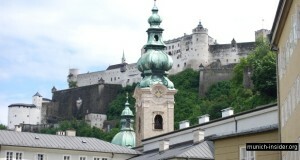 Salzburg is a relatively small city, but with a long and glamourous history. First of all, it is known as the birthplace of Mozart and there are two museums devoted to him. 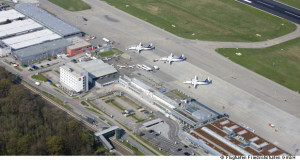 In addition, Salzburg has numerous other attractions worth visiting. A day trip from Munich to the mountains in the Austrian province of Tyrol is interesting at any time of the year. One can see Innsbruck, the capital of Tyrol, as well as Mayrhofen, a picturesque Alpine town and ski resort. This trip is not only for sport enthusiasts, but also for history buffs and art lovers because there are outstanding museums in the former imperial palaces in Innsbruck.